Stressing that unregulated exit poll and opinion poll disseminate false and inaccurate predictions about upcoming elections which influences behaviour of voters and is against the idea of free and fair elections, a PIL has been filed in the Supreme Court urging that the Election Commission of India be directed to prohibit publication of exit and opinion polls. The PIL has been filed by advocate-activist and BJP leader Ashwini Upadhyay who says unregulated exit and opinion polls are damaging to both the freedom to receive information under Article 19(1)(a) of the Constitution and democratic ideal of free and fair elections. “…Sections 126, 126A and 126B were inserted in the Representation of Peoples Act (RPA), to ensure that electors have sufficient time to think independently and exercise their right of vote without influenced by any person or survey. However, it is difficult to achieve the said object because there is no restriction on conducting ‘Opinion Poll’ or disseminating its results in electronic and print media and other similar apparatus,” Upadhyay said. ‘Opinion poll’ and ‘exit poll’ are surveys based on public opinion on upcoming elections conducted by gathering views of a particular group or community aimed at predicting poll results. While opinion poll is conducted before the election, exit poll is post-poll survey. Upadhyay said, “Section 126 of the RPA (Prohibition of public meetings during period of forty-eight hours ending with hour fixed for conclusion of poll) came into effect from 1.8.1996. It prohibits display of any election matter by means of cinematograph, television or other similar apparatus during the period of 48 hours before the conclusion of poll. However, it is silent on ‘Opinion Poll’. He said he was forced to move court as despite his assurances to take appropriate steps to reform the electoral system, the Prime Minister has failed to do anything in this regard. 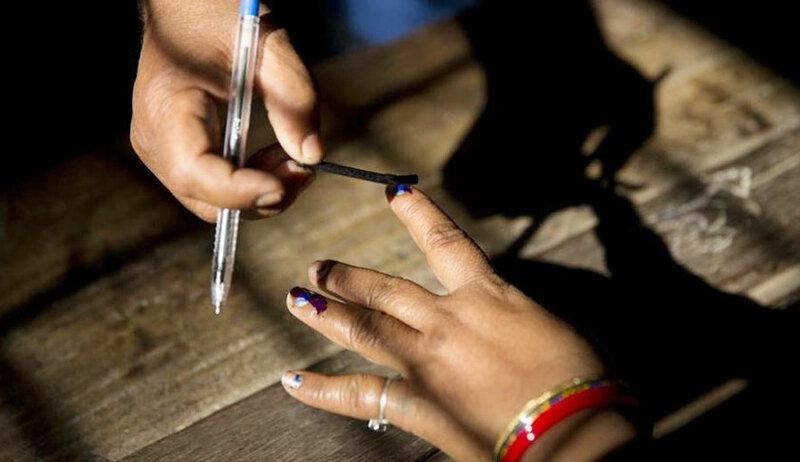 The PIL referred to the earliest attempt to regulate ‘opinion polls’ made in 1998 in the wake of impending general elections to the House of People and Legislative Assemblies of Gujarat, Himachal Pradesh, Meghalaya, Nagaland and Tripura. The ECI had then issued an order laying down “Guidelines for Publication and Dissemination of Results of Opinion Polls/Exit Polls”, including government-controlled electronic media in connection with the conduct of opinion polls and exit polls by them. Almost simultaneously, the Press Council of India had also recommended that newspapers should not allow their forum to be used for distortions and manipulations of elections, and shouldn’t allow themselves to be exploited at the hands of interested parties. Take such other steps as this Hon’ble Court deems fit to prohibit/regulate ‘exit poll’ and ‘opinion poll’ and ensure free and fair election in spirit of Article 324 of the Constitution.